If you’re trying to decide where to buy property in Portugal, it makes sense to spend some time becoming familiar with the country. There are many different landscapes and diverse attractions. It’s well worth putting some time into deciding what you need from your new location before you begin your property search. 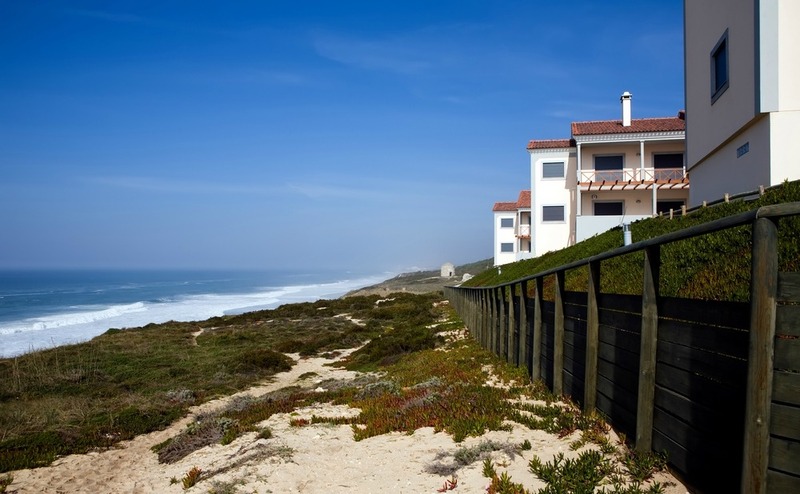 When deciding where to buy property in Portugal, you’ll need to decide whether you are more interested in life by the sea, being in a popular and buzzy town, or hiding away in the countryside. It’s also a good idea to spend time in the different areas at different times of the year. This will give you a well-rounded view of what you will experience throughout the different seasons if you’re living there all year round. After all, both weather and atmosphere can vary dramatically, especially in areas popular with tourists. It’s a good idea to spend time in the different areas at different times throughout the year. 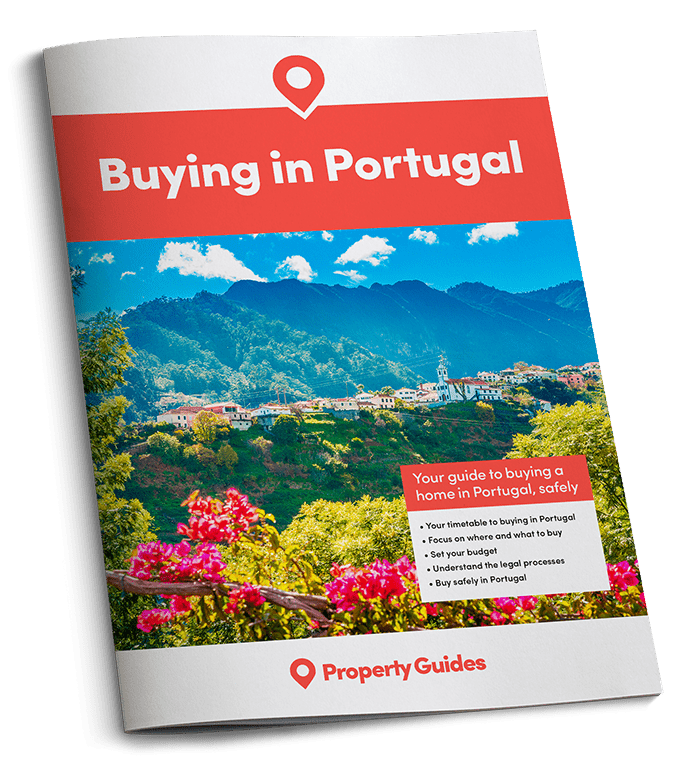 We’ve provided some information below about some of the most popular areas of Portugal with overseas property buyers. You are certainly spoilt for choice! Portugal’s capital, Lisbon, is often cited as the ideal spot for a city break. Lisbon offers the perfect combination of old and new in one place. 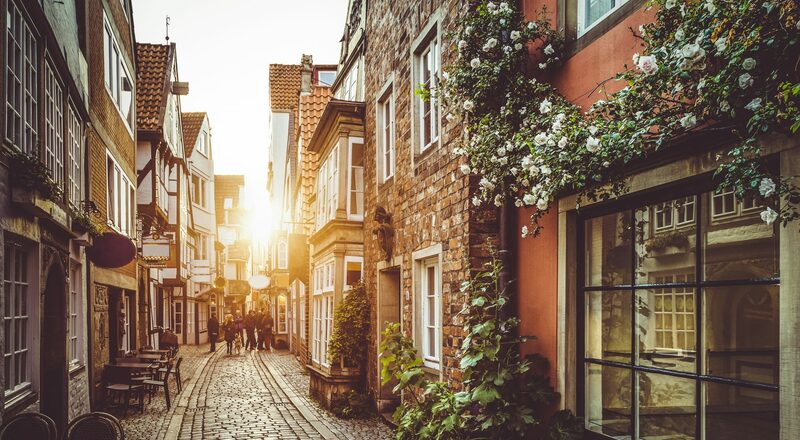 Steeped in history, the city is home to impressive architecture in the form of churches and palaces, capturing a blend of eras and cultures within their walls. The cobbled streets are home to a range of bars and restaurants. These also blend the traditional and the new. Countless museums and galleries provide a feast for the eyes and a considerable cultural fix. 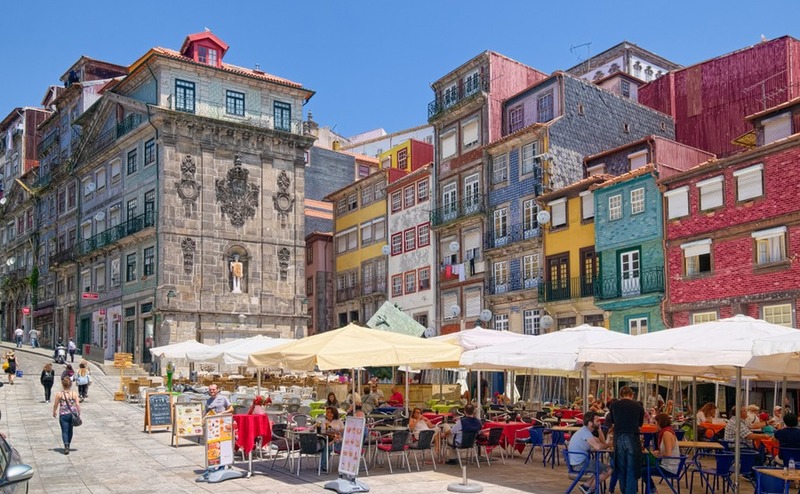 In addition, Lisbon is a great city for shopping, with a mix of local markets, flea markets, antique stalls, shopping malls, and high-end boutiques. Truly something for everyone! To the west of Lisbon lies the lively fishing town of Cascais. Popular with visitors and homeowners alike for its unspoiled beaches and rich history. Starting out as a fishing port, Cascais became a popular holiday resort back in the 19th Century, with the well-to-do families of Europe. From this influx of European visitors grew impressively grand buildings and beautifully landscaped parks, enjoyed by high society of the time. This glamorous atmosphere continues today, with a lively, yet relaxed feel to the resort. Portugal’s capital, Lisbon, is often cited as the ideal spot for a city break – the perfect combination of old and new in one place. Braga is situated in Portugal’s far north and is an ancient city with a long history and cultural heritage. Formerly an important Roman city, well-preserved and maintained artefacts from ancient times can be found throughout the city. Roman architecture lives side by side with Medieval churches, palaces from the Baroque period and buildings from the 18th Century. There is plenty of top notch accommodation, much to see and do and lots of good bars and restaurants to choose from. Local cuisine showcases the local produce and is well known worldwide. Coimbra, in Central Portugal, is a city built on a rich and ancient history, the fourth largest urban centre of Portugal and home to an extensive population. Dating back to a Roman settlement, the city has well preserved ancient architecture, such as a Roman aqueduct. The city is home to the oldest university in Europe, built in 1290 and many of its buildings were declared a UNESCO World Heritage site in 2013. Now a bustling modern city, Coimbra blends the old and the new with a whole host of festivals and celebrations throughout the year and modern concerts and performances from musicians and artists. The Algarve has traditionally been the most popular area of Portugal for holiday homeowners and expats, with plenty to see and do. Known for its stunning beaches and coastline, fresh seafood, top class golfing and innate natural beauty, the Algarve caters for all tastes. Easily reached when travelling from other European countries and fewer than three hours from the UK by air, you can see why its popularity endures. The Algarve is also known for its sunshine – it is widely accepted that this area of Portugal enjoys more than 300 days of sunshine each year. The coastline spans 160 kilometres of strikingly sandy, yet rugged beaches, caves, coves and clifftops. The beaches are some of the best in Europe, many of them with the Blue Flag accreditation. Inland, you can find lush hilltops, the natural charm of the Monchique Mountains and River Guadiana, and small villages that seem like a step back in time. The Algarve has traditionally been the most popular area of Portugal for holiday homeowners and expats, with plenty to see and do. Average property prices in the Algarve range from €150,000 plus for a two bedroom apartment, €200,000 upwards for a two bedroom townhouse, and €400,000 or more for a two bedroom detached villa. The Silver Coast is a stunning expanse of coastline that stretches from just north of Lisbon to Nazare, a traditional fishing town. The region is now a popular alternative to the Algarve with second home owners and is home to a thriving community of expats. This area is often considered closer to “the real Portugal” in terms of its unspoiled views and traditional charm. You can get to the Silver Coast in approximately 70 minutes from Porto or Lisbon airports, and flights are as plentiful as those running to Faro for the Algarve. A range of budget airlines serve these airports. With its beautiful coastline and easy access to Porto or Lisbon airports, the Silver Coast is a popular alternative to the Algarve. The climate is not as favourable as the Algarve – with the Atlantic bringing currents and breezes that can bring the temperature down 5-7 degrees lower than the usual temperature in the Algarve, but the spectacular waves are popular with surfers in Baleal and Peniche. The region is also popular for other watersports. There is a thriving local agricultural industry, with a selection of smallholdings, ranging from fruit farms to vineyards, offering good quality, local produce at reasonable prices. The Obidos lagoon and its sandy beaches provide unspoiled views and local seafood restaurants, which are particularly good value for money. Property prices here are similar to the Algarve, perhaps slightly cheaper, and range from €250,000 to €1,000,000. The lively market town, Caldas da Rainha, is also a popular choice, providing opportunities for shopping, dining, and, for many, a place of work. Property prices tend to be cheaper here, with average prices for a two bedroom apartment in Caldas at around €70,000 – less for a rural “fixer upper”. Unsurprisingly, most overseas buyers flock to the areas along the coasts of the country. UK buyers tend to buy property in the central part of the Algarve coast in the south of the country, with the most popular developments between Faro and Albufeira. The western Atlantic Coast, from the Costa Verde in the north, to the Costa Azul in the south, is also very popular with overseas buyers, thanks to its wealth of natural beauty and a number of excellent resorts. An escape in the country or your own corner of a city? Inland Portugal has traditional rural homes available, both in rundown condition and beautifully restored, at very reasonable prices. Just remember to factor in realistic restoration costs if you decide to go that route. Lisbon and Porto are two cities with cultural urban appeal for those looking for the city life or an investment property. Other cities, such as Braga and Coimbra are also lovely – Coimbra is of course a university town, with investor appeal for that reason, if no other. It seems that the words ‘golf course’ are a magic charm to guarantee a really good investment in the country. More intrepid buyers, and those looking to pay a little less (sometimes a LOT less!) for more, have been looking further east and west along the Algarve coast, as well as the so-called Silver Coast and Green Coast, up the western coast of Portugal. The most adventurous are even casting their nets into the plains and mountains of the countryside.